I haven't created something for fun for a while and this is what I came up with. I was lacking inspiration on what to do when I came upon Erin Hunting's work on the internet, which I found very interesting. 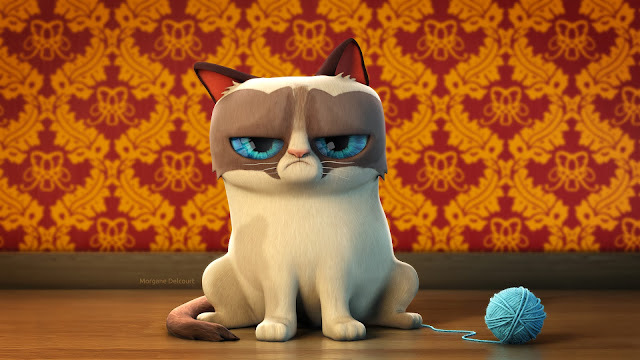 I saw her version of the famous Grumpy Cat and I immediately felt inspired and thought it would look great in 3D ! And please, check out her other illustrations, she's super talented and I'm sure you'll like her style !